Each month, there are over 50,000 newly developed apps submitted on your app store. If you’re in the process of developing your app, the question is not really whether you should have a dedicated marketing website to support your app but rather when you should have your website up and running. Here’s our answer : before your app’s first line of code! You’ll need a website for online support and branding your app, so why not benefit from its promotional power before your app release? So you may be thinking what people will do on your site if there is no app developed yet. Give them a taste of what your app will do with a few screenshots, a great pitch and have them subscribe to your mailing-list! It’s important to keep them updated about your progress. Not daily or anything like that, but what you want to make sure of is that they know who you are and what your app is. You don’t necessarily have to have so much content on your website right away, it’s better than nothing and never too early to get noticed by search engines. Make sure to have a SEO-friendly website. Include a blog on the website, allowing you to engage users or even get feedback on your app features and early design. 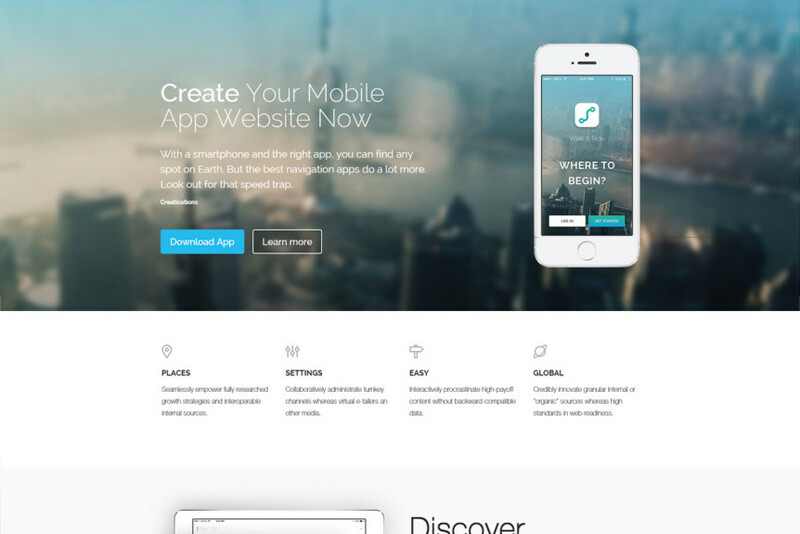 Having a website for your app is a key element of your app marketing efforts, don’t pass on the opportunity. Contact us to begin planning your website.